Vesselin Nikolov was born in 1938 in Bourgass but his life has always been connected to Plovdivs musical culture. He received his Masters Degree at the University of Warsaw, Poland. He was the founder of the Beli, Zeleni, Tcherveni (White, Green and Red) Jazz Formation, popularizing Bulgarian musical culture all over the world and has participated in the most prestigious jazz festival in Europe, Asia and the USA. He was also the founder of the "Philippopolis" male vocal ensemble performing East Orthodox church music, as a conductor and art director. The ensemble has had a large number of concerts in the country and abroad. In the period 1992-1995 he worked as a director of the Bulgarian Culture Institute in Warsaw, where he created the "St.St.Cyril and Methodius" Choir, which under his conduction, performed and recorded a large amount of East Orthodox church music performances. 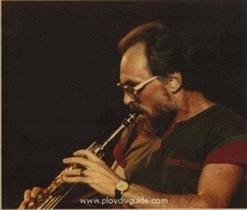 He has taught History of Jazz and Problems of Improvising at the Bulgarian State Music Conservatory. Vesselin Nikolov is the author of a large number of musical works: ProtuBerances (Concert for symphony orchestra and jazz band), Prayer, Glory and Praise (oratories), Modus Mobile, Contemplation, etc. as well as film music - the soundtrack to a large number of popular BG films: Love is All, Attempt to Fly, Measure for Non-Deflection, Sky for All, Voyvoda Leaders, On the Roofs at Night, etc. Vesselin Nikolov has been awarded with various BG and international awards. Honorary Citizen of Plovdiv. A book by the popular jazz critic Vl. Gadzhev , dedicated to Vesselin Nikolovs life and work, has recently been released.